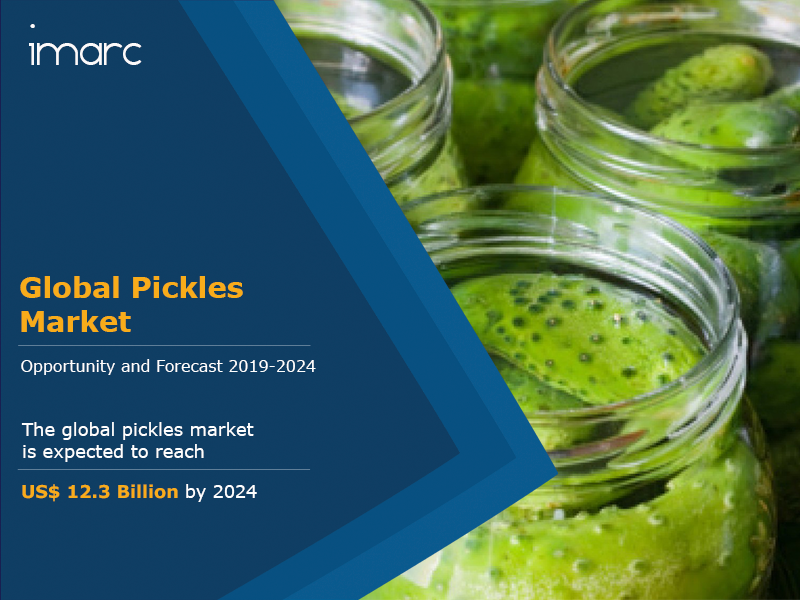 The global pickles market reached a value of US$ 10.3 Billion in 2018. Pickles are a rich source of essential nutrients like vitamins, iron, calcium and potassium and possess anti-oxidant properties. They are prepared to preserve or extend the lifespan of a fruit, vegetable or a mix of both, by either anaerobic fermentation in brine or immersion in vinegar. They are known for a wide range of health benefits, such as improving digestion, supplying essential minerals and vitamins and reducing ulcers. In recent years, the aggressive promotional activities by the manufacturers have increased the popularity of cross-cultural cuisine which, in turn, has helped in driving the demand for pickles worldwide. In recent years, non-GMO and organic pickles have gained traction among health-conscious consumers. These products are made without preservatives and other synthetic chemicals which can have a negative impact on health. Moreover, the manufacturers are introducing new flavors as per the local tastes and preferences of consumers. The leading companies are also offering convenient and cost-effective packaging options for pickles to facilitate ease of use and on-the-go consumption. These packaging variants range from glass jars, PET jars and single-serve packs to stand-up and multi-layered coextruded pouches to polypropylene injection molded containers with flexible heat-sealable and peelable lids. According to IMARC Group, the market is projected to cross US$ 12.3 Billion by 2024, at a CAGR of 3% during 2019-2024. Currently, fruits represent the most popular product type, holding the largest market share. Fruits including pears, peaches, apples, mangoes, grapes, currants, olives, etc. are majorly used to make pickles. The market has further been classified on the basis of tastes into sweet, salty and sour. Amongst these, supermarkets and hypermarkets represent the leading channel of distribution as they offer a wide variety of products from numerous brands to the consumers. Region-wise, North America enjoys the leading position in the global market. There has been a rise in the consumption of pickles in the region owing to their differentiating taste and flavor enhancing properties. How has the global pickles market performed so far and how will it perform in the coming years? What are the key regions in the global pickles market? Which are the popular product types in the global pickles market? What are the major distribution channels in the global pickles market? What are the several taste categories in the global pickles market? What are the various stages in the value chain of the global pickles market? What are the key driving factors and challenges in the global pickles market? What is the structure of the global pickles market and who are the key players? What is the degree of competition in the global pickles market?